November is one of my favorite months! It's when thankfulness is the root of conversation, it's when pumpkins are slowly going out and the smell of Frasier Fir is coming in, Christmas trees are going up and wreaths are being hung - it's nothing short of wonderful. November is starting to already collect some of my favorite staple items that will carry me through this month and I wanted to share them with you! Plus, these are hitting the blog just in time for you creating your Christmas wishlists. In case you're like me and Christmas can never be celebrated too early, check out the "Holiday" tab above! I'm sharing my favorite Christmas outfits, decor, gift suggestions for him and her and what's on my Christmas wishlist! Seriously, this is the greatest thing that I may have put in my mouth. Spread on a toasted bagel and you're on the way to have the best day of your life. It's the greatest seasonal twist on your traditional easy-breakfast item. Trader Joe's has the most fun creations but this takes the top list! These are the easiest combination between a comfy sweater and a feminine twist! They're easy to pair with jeans (black or blue denim) for a going out look, work look or just a "casual grocery store run" look. You can find a tiered-bell sleeve sweater almost anywhere but Madewell has one of my favorite. I linked a few underneath for some other color + price options. Jamie Ivey has a great way to incorporating fun, laughter and dreams into your everyday life. Every week, she hosts a new guest - some familiar, some I'm just now meeting. Every guest comes with different stories, talents and words of encouragement so you're guaranteed to have a new episode every week, rarely overlapping topics. 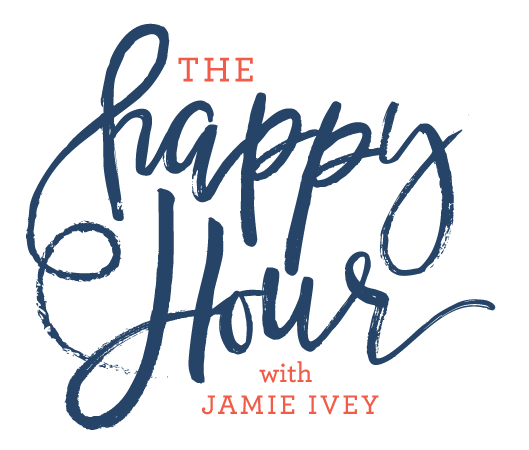 Motherhood, marriage, "balance," recipes and God stories are often brought up; so, if you're needing a pick-me-up car ride on your way to pick up the kids, on the way to class, or while running errands, subscribe to The Happy Hour now! So I've gotten hooked on a pair of jeans and I can't take them off. They're the Roadtripper Jeans from Madewell. They have the greatest flexibility but still have that "jean" look being very structured yet having lots of movement. They're called the Roadtripper because they're great for traveling and sitting a lot. They "give" and flex with you but once you've worn them for a while, they still take the original shape and don't get baggy! PRAISE! You can see why this is my third day in a row wearing these suckers. Good news: they come in Black Denim and Blue Denim. Plus, their socks are just so great, soft, comfy and the perfect stocking stuffer. If you're looking for easy yet luxurious Christmas gifts - Beautycounter is the way to go. Split up some of the Holiday Gift Sets and make the best stocking stuffers, teacher gifts or a happy for a friend. Or, wrap the whole set for your best friend or family member. Tons of directions with these guys! My favorite is the Color Intense Lip Set for multiple reasons. 1. 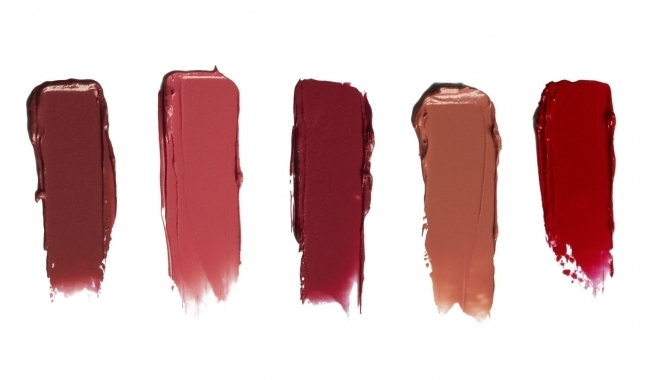 They're a new formula that acts as a lip stain and stays on your lips throughout the entire day. 2. There are 5 beautiful colors that are great for any occasions. From "9 to 5" to pop on when on the elevator to work, "Brunch" to swipe on before getting out the car for lunch with a friend, "First Date" for date night, or "Little Black Dress" for an extra pizazz with that event you're going to. Can't go wrong with this bad boy. Seriously, have you ever seen a cuter water bottle? But, my friend, this one isn't only about how cute this water bottle is - there's way more to it. It's a glass bottle protected by a neat silicone shell with fun colors and textures (like this yellow-lime, spiked one #favorite). The glass bottle is the safer and cleaner way to drink water because your water isn't sitting in BPA filled plastic or any other yucky elements for the environment. The screw on top makes it easy to drink and access and it acts as the perfect accessory for your barre class. I've been going to a class called True40 in Birmingham, Alabama and have been loving it. Having the water by my side helps, but if we're honest, sometimes it's easier for me to work out with some fun incentive like a new water bottle or active-ware. Ya know? HAVE YOUR TRIED THESE? Sorry, I'm yelling but I needed to get your attention! If you thought the suction and shaping feature of Spanx under garments were cool, just wait until you try their leggings. They come in different materials (cotton, leather and more) but these black leather ones with diagonal details have me drooling. The pricing is pretty steep but so worth it for the technology it has compared to other leggings. They're great to work out in, wear with your favorite black tennies and a cute graphic tee or just lounging around the house. HELLO. These items will be my staples to November to get me to December when it's then appropriate to start chatting about my wish list. Hiwver, I couldn't help myself and posted items For Him, For Her, My Wishlist, some Christmas Outfits and Decor. Oooops. Head over to the menu to shop what I've picked out for you to make your job of buying this season a little easier.